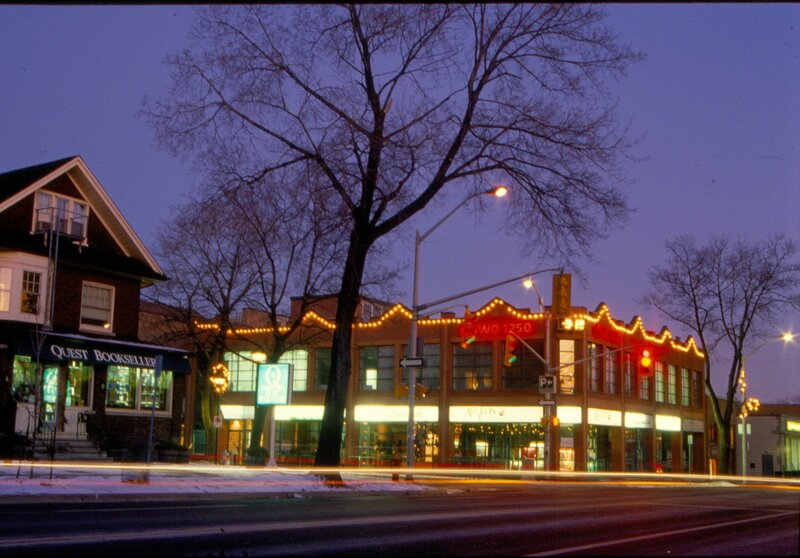 Situated on Lake Ontario, the downtown core has always been host to a multitude of businesses. 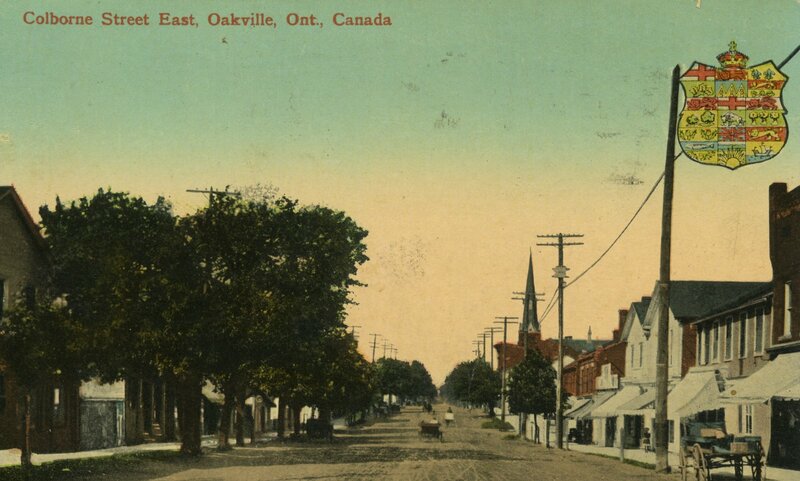 When Oakville was a new town, the downtown strip featured the main businesses of the vicinity, providing all the necessities needed for folks living in the area. Now more focused on high-end eateries and apparel shops, downtown Oakville is a quaint business district with lots to offer. Many of the stores seen today on Lakeshore Road are in the original buildings from the 1800s, with minor renovations. A significant number of these buildings have been designated as ‘heritage’ which cannot be torn down, so as to preserve our Oakville history! Deciding to designate a building as heritage can be a lengthy process. There are many factors that are looked at and taken into account when assessing the potential heritage status of a building. Not only the age and history of the building are critical, but also the contextual value of the building. This means taking into account the building’s setting and also the setting around it. Various types of architecture are also examined when determining whether or not a building can be designated as heritage. Now known as Lakeshore Road East and West, this street was formerly named Colborne Street, after Sir John Colborne, who was the Lieutenant Governor of Upper Canada for the years 1828-1836. For the two year period of 1838-39, he was named the Governor General of both Upper and Lower Canada. Sir John Colborne was largely responsible for developing an immigration system in Canada, and results were seen when Upper Canada’s population doubled. 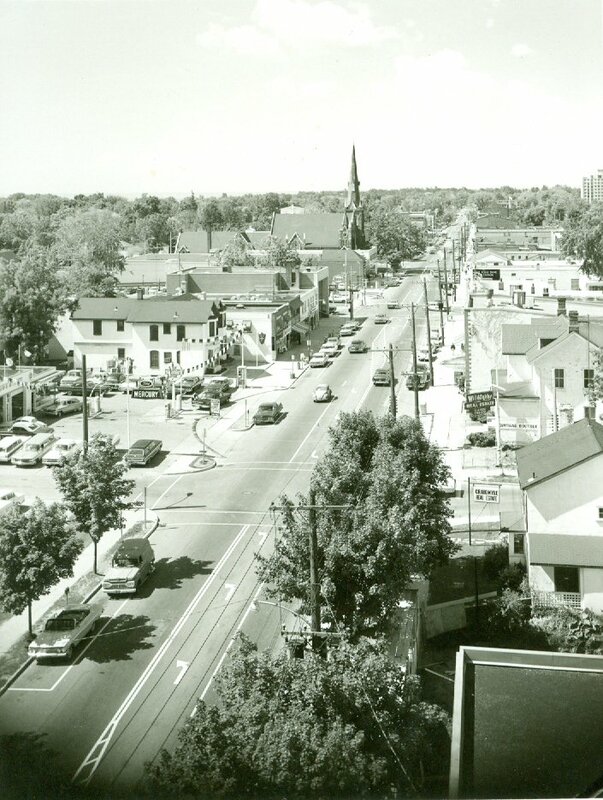 In 1964, Colborne St. was renamed Lakeshore Road, running east and west along the edge of Lake Ontario through the entire length of the southern part of Oakville, including its lovely downtown. The following pages provide a glimpse into Oakville's historic downtown area. Many of the original buildings still remain from the early years, now designated as heritage buildings. You will be taken on a tour of a number of downtown Oakville's businesses through past and present images, and be able to see how Lakeshore Road has been transformed over the years. Information credited to: Ashe, David and Joyce Burnell. Oakville Street Names and Landmarks. London, Ont. : Burnell Creighton Publishing, 2007. Print. and to: Colliston, John . "He Searches for Historic Buildings." The Oakville Beaver 30 Aug. 1978: 10. Print. and to: Evans, Gary. The Prints of Oakville: a photographic journey back in time. Burlington, Ont. : North Shore Publishing Inc., 2003. Print.